So You Wanna’ Take Appliance Repair Classes? 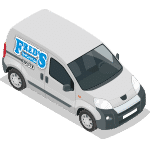 Ok, so you’ve been thinking about grabbing the torch and starting a career in the humble, but gloriously rewarding field of appliance service? You’ve seen guys out in the field and thought you could probably do what they do. Besides the work looks interesting and there’s always something that needs fixing. 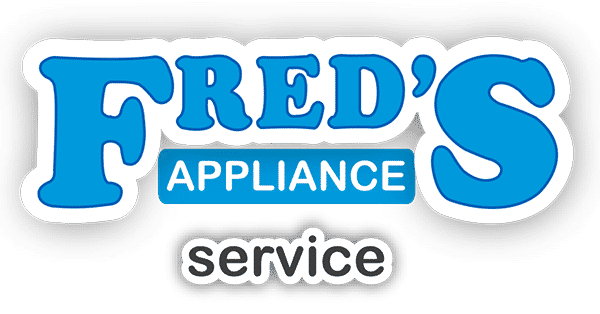 Before enrolling in one of Fred’s appliance repair classes, you need to get in front of a mirror somewhere and ask yourself a few questions. This job is not for everyone. It’s not for the faint of heart. It’s not for those that hold back. Do you think you have what it takes to learn the secrets of the art of modern day appliance repair? Are you prepared to bare your heart and soul and arms and get your hands dirty enough to start making good money in a growing trade few people are prepared to venture into? Not every one is cut out for this job. 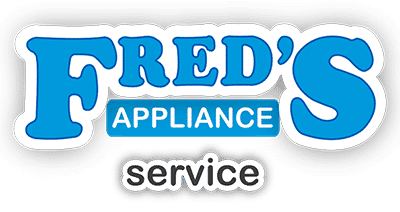 It takes a certain breed of individual to handle the stress, the focus, the challenges servicing modern appliances in 21st century America. Right now it sounds like an easy job, sitting there in front of your computer. Just show up with a flashlight and a screwdriver and make an awesome living, right? No. Frankly to be forewarned is to be forearmed. Before you commit body and soul to enrolling in repair classes you should get an inside look into a day in the life of an appliance repair technician. There are a few things absolutely critical you should know. The first thing to realize is this job is not your typical nine-to-five, feet up on the desk, pounding out widgets or churning out quarter-pounders. You must consider yourself almost an owner of the business you’re going to work for. Your truck and tools and uniforms have to be kept in professional condition because you’re representing a professional company. You can’t be going into people’s homes with old ratty tennis shoes caked in mud, wearing a long scraggly beard with lots of bling dangling from your ears. Consumers nowadays are smart and savvy. They have hundreds of choices out there when calling for appliance service. The last thing anyone wants to greet at their door is someone who looks like their spouse’s nephew. So you have to look great, all freshly showered and all, and you’ve got to have some hustle. Time is precious, both to your employer and your customer. You don’t have time to stand around and thrill your customer with all the dazzling things your kid did at school. Building rapport with a customer is essential; they must come to trust you within a few moments of welcoming you into their home. But a life history lesson isn’t required. Most folks you meet are pretty nice, decent, down-to-earth citizens. After all, you are there to help them with a critical need. They can’t cook their food. The dishwasher’s flooding the kitchen. The refrigerator’s freezing everything, or they just lost a couple hundred dollars worth of Omaha steaks when the thing went warm on them. They are glad to see you. You are in the unique position few people have in their jobs of becoming someone’s hero. A few folks out there can be dowwn right nasty. They will scream and yell and swear at you. If not for the fact the appliance is busted, as if it’s your fault, it’s the fact you’re charging too much. They don’t understand all the technical training you’ve had to undergo to become knowledgeable enough to help them out. They don’t see all the behind the scenes expenses your company has to shell out in fuel, insurance, vehicle maintenance, employee salary and benefits. They think a trained monkey could do what you do, and are resentful they can’t fix the thing themselves. Listen. Don’t take it personal. If you do, you won’t last in this business. One requisite of a good technician is you either must have already or be prepared to grow some thick skin. Comes with the territory. If you can’t stand driving in traffic, don’t bother getting into training. If you don’t like getting wet in driving rain storms, forget this career and go into knitting. If scraping ice and snow off the truck in endless winters, venturing into unplowed driveways and icy walkways with heavy tool bags, greeting dogs and cats and parrots, listening to blasting TV shows of people giggling and talking about their mundane lives, customers watching your every move, sometimes standing so close as you work you can smell last night’s garlic on their breath, babies screaming, dirty, unwashed floors you must lay on to get under a machine, roach or mice infested ranges, refrigerators filled with moldy food that reeks to high heaven because they left it in there after it quit cooling you are not the man or woman for the job. Go find something else to do. But if you’re the kind of person that likes working with your hands; if you take genuine pride in your work; if you are conscientious, prompt, personable, like working with and around people, can think through a problem, are not afraid to tackle tough jobs instead of leaving it for someone else, have an ability to keep learning, even when you’re in the field, then this job is for you. If you seek the thrill that comes with successfully fixing a broken machine and truly serving someone that desperately needs your wisdom and expertise, then get into class right away. Appliance repair is not a dying trade. It’s becoming more sophisticated and challenging. Are you up for it? If so, contact us!